Matching activity to lead to a discussion. Possible to introduce "What will you do if ...?" This downloadable worksheet is best suited for adults at Elementary (A1) and Pre-intermediate (A2) level. 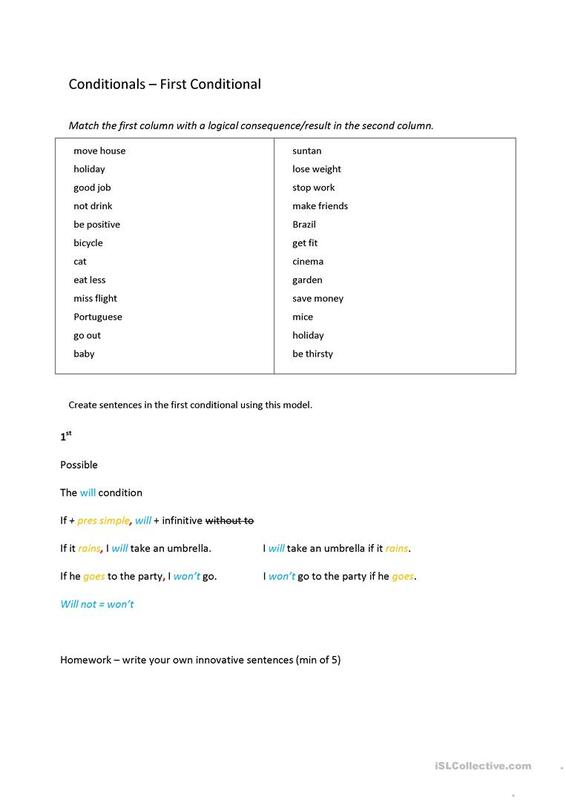 It is a useful material for teaching Conditionals in English, and is excellent for developing your class' Speaking skills. 4D6C is from/lives in Spain and has been a member of iSLCollective since 2011-06-19 18:42:08. 4D6C last logged in on 2018-12-15 14:21:35, and has shared 1 resources on iSLCollective so far.